LPN is License Plate Number. This is nothing but an identification of a certain object which holds Item/Items. 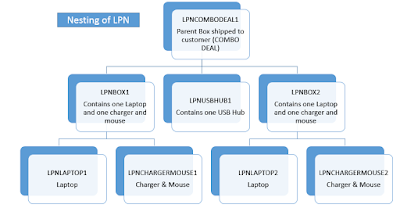 So for understanding, you can say LPN is an identification of a box in which you have kept the item/s whether in your warehouse locations or you have consolidated for shipping or identified for picking or receiving. At any point of time, item/s/group of items can be tracked using one single identification that is called LPN. This can be a physical container or a logical grouping. This is used to store information of items such as LOT, Revision, Serial, Organization, subinventory, locator, etc. Oracle WMS allows to use LPN in nested also. For example, you have made a Combo deal sale for Christmas. 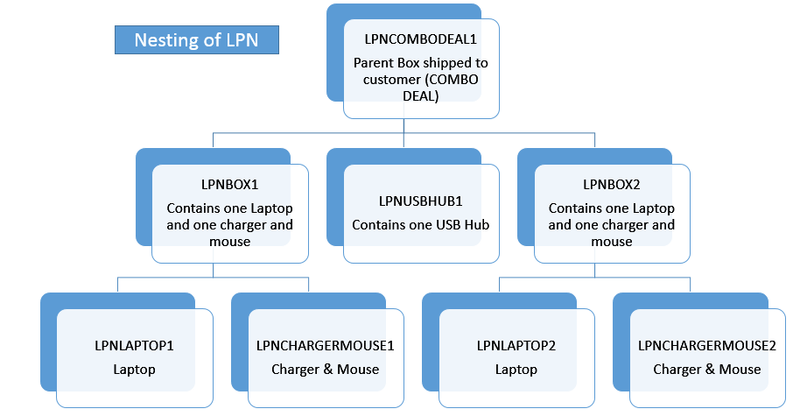 If customer buys 2 laptop units, they will get one USB hub free. And for better and faster shipment, you have already packed the units and kept for ready to ship.